Take a minute to think about where you are in your eCommerce journey. Maybe you’ve just set up your shop and are ready to hit the high seas. Or maybe this isn’t your first go at online advertising but you’re wondering if you could do more. How do you step back and evaluate your current digital advertising strategy? Are you doing everything right, or can you implement other tactics to bring in more sales? It’s tough to find all the answers in one place. Luckily, we’ve done the work for you. We’ll tell you everything you need to know to take the market by storm. Pick and choose the strategies that you think could work and are most suitable and start seeing your business grow. As a small business owner, having an ecommerce store is a great way of leveraging your offering using technology. But there’s more to building an ecommerce business than choosing a brand name, writing product listings, and starting to sell products online. Reach the right audience, at the right time. Set up a FREE strategy call. The truth is that you can’t expect traffic and sales to just start surging in by themselves. Ecommerce marketing is a tricky business and it all starts with building on your success by pulling in more customers through advertising. It’s a strategy that not only helps you sell more, but also increases traffic and leads – a win, win situation. Want to get ahead in ecommerce? You’ve got to use the various tools, channels and technological advances and orchestrate them into a symphony of success. Compared to the previous year, 2017 had a 13% increase in ecommerce sales. Actually knowing where to start and how to stand out from thousands of shops competing for traffic and sales can be daunting, but not impossible. It provides something that is helpful and not a waste of time – by closely aligning your goals, strategies and tactics to achieve sustainable traffic growth that results in sales, without wasting a lot of your ad budget on an improper strategy. It’s something that speaks to small ecommerce businesses looking to grow – Running and growing a successful business that is likely providing all of your income is human nature. A long-term strategy can help you reach and surpass your objectives and continue to grow. As a small business owner, the sheer number of available channels and platforms for digital advertising can seem overwhelming at first. You don’t have to get them all right from the start (or even do all of them at all), but a multi-channel approach works best, because it enables your customers to experience your brand consistently, whatever their browsing method of choice. Approaching users on multiple channels and platforms also increases the visibility of your online store and brand. Each channel has a unique set of site visitors who may not have otherwise have encountered your online store. These buyers are more likely to develop brand loyalty and explore your products on your online store. People are more than likely using Google to search for products or services like the ones you offer. Google’s Pay Per Click services can help you drive more targeted traffic and increase conversions on your ecommerce website, within a short period of time. PPC platforms such as Google AdWords and Google Shopping are driven by how much you’re willing to invest in your store’s visibility, as well as how much you’re willing to pay to acquire a customer. The effectiveness of these ads relies on how well you choose your keywords as well as how well you optimize the visual and contextual information of your ads. As a small business looking to grow in terms of ROI, Facebook Ads is one of the best places to spend your advertising budget. It can be your silver bullet for getting traction in traffic and sales. No matter who and where your customers are, chances are they’re on Facebook, which means you can use this channel to reach them at every stage of their customer journey. The channel still has the largest number of monthly users (over 2 billion/month) and is a great way of reaching audiences specifically targeted to your business. Facebook ad formats include image, video, offers, post promotion and lead generation, targeting users according to demographics, behavior and interests. Instagram is your business’s visual shop on mobile, and more and more people are seeking out businesses on the platform. When it comes to advertising, this image-based network is also managed on the Facebook Ads platform. It’s best suited for images or video ads that cater to a younger audience and also gives you access to Instagram Stories ads, a growing, consistent audience with a preference for video ads. You can also link any destination, on and off Instagram in the ads, along with a call-to-action button catered to your business. Your website’s homepage or landing pages aren’t the only things you need to drive traffic to. Individual products also need to be included in your advertising strategy. After all, your goal is to sell products, not drive endless traffic. To do that, you have to think beyond bringing people to your website and look for expansion tactics that bring your products to them. That where Google Shopping ads come in. They’re CPC ads you buy through AdWords that show up on the Google search results page. You’ve likely seen these in your Google searches before, at the top of the results page, or on the right-hand side. Google Shopping Ads allow you to promote your products directly by using images, titles and prices to customers that are searching for them. Getting your products in front of online customers faster than any other method can prove to be the edge your SMB needs over the competition. Step up your advertising game with our Google Shopping Campaigns Optimization guide! Most of the users that visit your website will often leave, never to be seen again. Remarketing is a way of keeping your brand in front of them. It’s a pretty straightforward way of targeting the users that have already expressed interest in your products and also one of the best ways of spending your advertising money, if done right. The way remarketing works is that it places cookies onto the browser of the user, letting platforms like Google know that they’ve been on your site. Then, your ads will start appearing around the web, on blogs and sites that use Google AdSense, as your user visits them. Remarketing can be done via AdWords or via Facebook’s ad system using Facebook Pixel. You can choose on or both. It’s up to you. Easily the single most popular PPC advertising platform in the world, Google AdWords allows you to create ads that target your online users on Google search engine and other properties. Why it works for small businesses is because it lets you reach audiences that are actively searching for products or services like yours, limiting the extent of your ad spend on more general audiences. Both on the search and display network, businesses have the benefit of targeting audiences based on keywords they search, websites they read, geography, device types, as well as based on demographics and psychological criteria such as tastes, attitudes and behaviors. 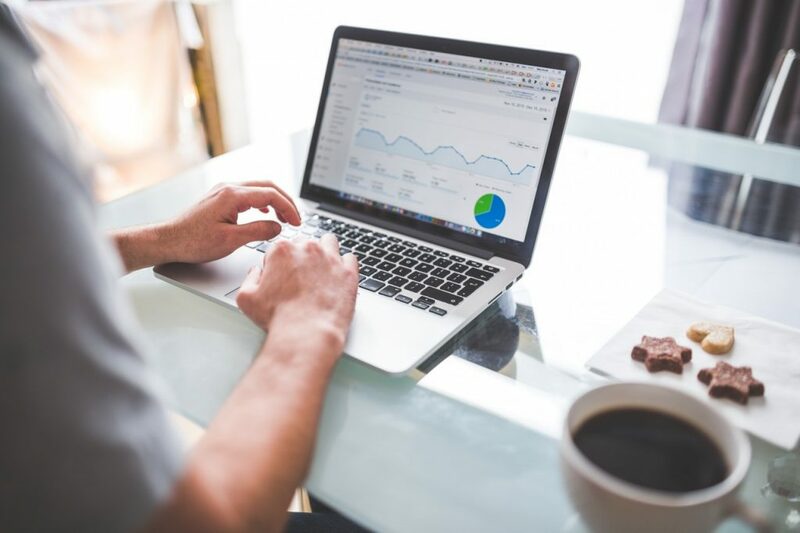 As with everything worthwhile, with PPC, you have to commit to managing and optimizing your campaigns on a daily basis, to make sure your money is being spent wisely towards the growth of your business. Ad types include simple text ads that appear on Google search results pages or banners, native ads, interactive ads, video ads, interstitial ads, overlays and other similar ads that appear on Google’s Display Network and are linked to a landing page or website. Is Google AdWords worth it? For a comprehensive guide on AdWords in 2018, take a look at our most recent article to learn how you can make sense of the numbers. One of the many features only accessible in the new AdWords Interface, showcase shopping ads are the next step in reaching new customers. Showcase shopping ads show up for broad, non-branded, commercial searches, above the paid search ads and alongside product shopping ads, at the very top of the SERP. They can help you grow by grouping together a selection of related items and presenting them together, helping people discover your brand and products. The first click on a showcase shopping ad is free. You’ll only pay if someone clicks through a product on the expanded catalogue and arrives at your landing page. Most brands struggle with matching a user’s intent to their searches. That’s why platforms such as Google AdWords offer demographic targeting for campaigns. Some users are more valuable than others, you just have to know how to find them. With demographic bid adjustment for Google search, you can reach customers who fit the demographic groups that your business caters for (men/women, age groups). As a small business, it’s important to focus your time, attention and advertising budget on the people that really matter. This type of microtargeting helps in keeping on track the interests and thoughts of the customers and then utilizing the demographics and consumer data to show your ads to the right people that are most inclined to convert. No matter what your AdWords specialist told you, it’s not all about the keywords. Remarketing Lists for Search Ads (RLSAs) are a great example of a targeting method that works alongside keywords, to allow advertisers to tailor search campaigns based on whether a user had previously visited their website and based on the pages that user viewed. It’s a less invasive targeting method that allows you to target more qualified and valuable users who are already aware of your website. When done right, RLSAs can result in more efficient use of ad spend, better conversion rates and an increased ROI. As an SMB, your customer list should be sacred to you. It’s the key towards building loyalty and repeat customers, which you can also use to enhance your digital advertising strategy. Using your customer list to create a standard custom audience on Facebook is a great way to re-engage people who’ve already had an interaction with you. If you provide the platform with a list of emails, phone numbers or Facebook User IDs, Facebook can match it with its users. Once you’ve created a custom audience on your customer list, you can ask Facebook to create a broader “lookalike” audience to target your ads to. This much bigger list is based on patterns and characteristics that your customers have in common (age, gender, interests etc.). They’re users who are very similar to those on your customer list but who have most likely never interacted with your business before. Use your customer lists to grow your Facebook or Instagram page likes, regain lost customers or up-sell new products to existing customers. 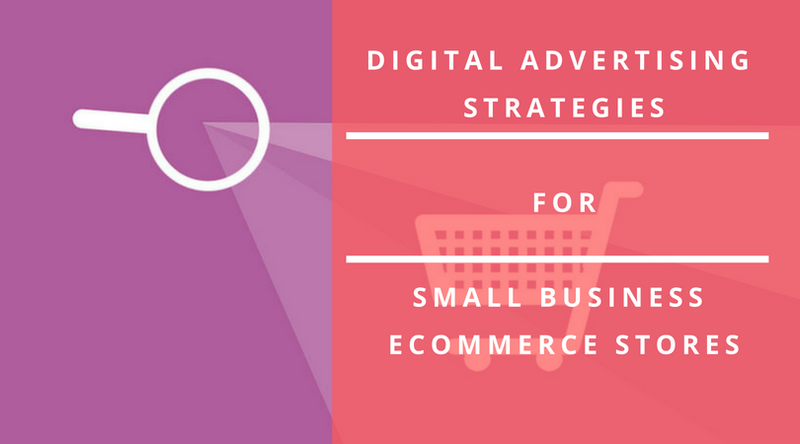 Even in the case of small businesses testing the waters of ecommerce, increased competition has led to substantial increases in advertising costs. We’ve found that, in any industry, the key to unlocking the platform’s full potential is leveraging a platform’s ad types to your advantage. Some can perform better than others. Collection Ads are a new, shopping-enabled ad unit offered by Facebook and Instagram that blends videos and product catalogs where consumers can complete purchases without ever leaving the page. It’s a great way of leveraging your social media, which has quickly gained traction among advertisers due to strong performance, great design and customization capabilities. This is a great option for small businesses, with a small array of products, or if you want to showcase a line of items but not overwhelm your audience. When they click on the ad, they’re taken to a full screen version designed to boost engagement. Use Collection Ads to build awareness for your business, acquire leads for your products or services or to directly sell your products. Now that we’ve gone through what you can do to enhance your digital advertising strategy and grow your business, let’s talk about how you’re going to do it. There are no clear, across the board, standard pricing options when it comes to budgeting your digital advertising strategy. Here’s our take on how you should approach all of this. Start with whatever you’re comfortable with. Whether that’s a couple of hundred dollars or a thousand, start with a monthly budget, rather than spending everything on a single campaign. Be willing to learn. Great results take time, effort and a lot of optimization. If you’re really serious about growing your business with digital advertising, investing a few thousands across a few months and hiring a professional is the way to go. That way, you can attract a few thousand people to your website, which will allow you to draw conclusions about what works best for you. Know your worth. Clients setting a budget, especially in competitive niches should be aware of the factors that influence an advertising budget: average industry CPC, conversion rate, average order value, sales objectives etc. A bit of reverse engineered math can go a long way towards figuring out just how much you should spend to reach your objectives. Our Advertising Budget Calculator is an easy-to-use tool that helps you estimate what your small business advertising budget should be, all in a Google Docs format. It’s guaranteed to give you some much needed insight to start with. Even if you’re not that good with numbers. Find out what your ideal advertising budget should be. Click here to try out our calculator! Reaching your ideal audience and growing your business takes persistence and a variety of marketing strategies. Talk to influencers and experts. Find out what works best –– and get help to execute it better than not only your competitors, but anyone else out there.